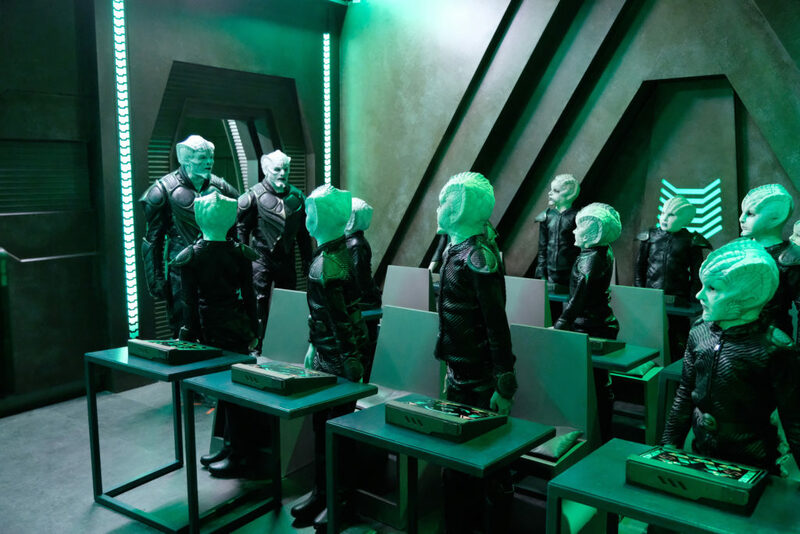 Last night, Fox’s “The Orville” continued to demonstrate how it’s a far superior Star Trek show than CBS’s actual Star Trek show. I don’t mean to harp on this fact, but the farther each show gets into the season the more clear this becomes. The episode began with a fun little scene of the crew enjoying some chow together. 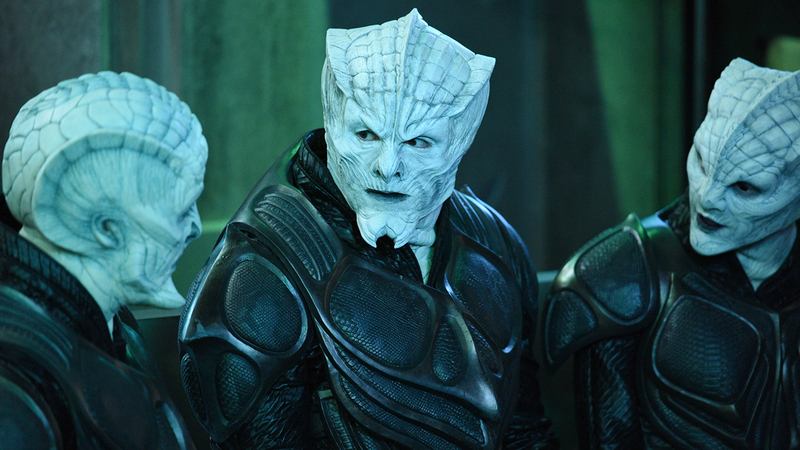 After Bortus downs a bunch of wasabi like it’s nothing, we learn that Mocklan’s have cast iron stomach’s and can eat almost anything. This spurs a fun little sequence where his crewmates each try to come up with the next ridiculous thing for him to consume. 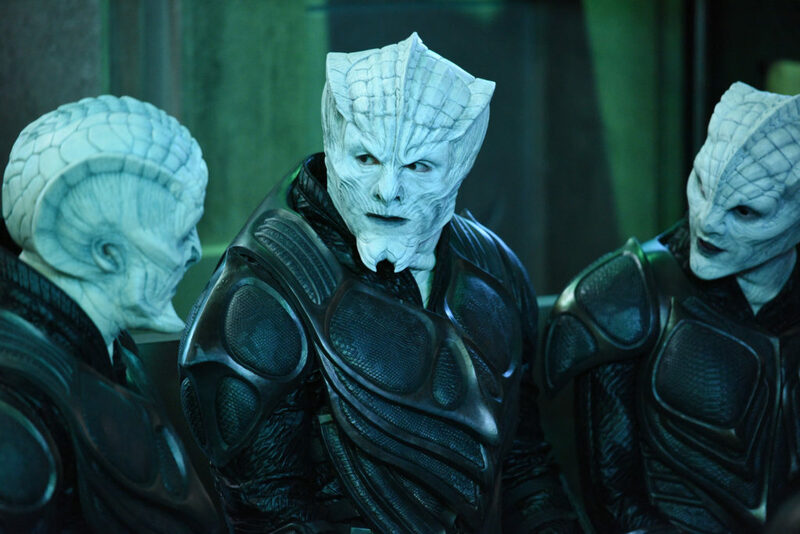 However, the main plot of the episode actually begins when the Orville comes across a Krill vessel attacking a planet where a new Union colony has just been set up. The music by Bruce Broughton in this scene really stood out to me and captured the adventure in space feel. There was also a little motif heard later on that was reminiscent of the echoing strings used by James Horner in the score for “Aliens“. This show is constantly firing on all cylinders. After a clever maneuver by Captain Mercer, they manage to destroy the Krill ship, and in the debris, they find a smaller Krill shuttle. Afterwards, in an effort to establish peace with the Krill, the Union decides they must first learn more about their culture. They task Captain Mercer with going undercover, using the recovered shuttle to pose as Krill soldiers who made it out before the larger ship was destroyed. Of course, going undercover by altering characters to look like alien races is a classic Trek plot device. In Trek, this was done with surgery, but The Orville puts their own spin on it by achieving the masquerade using personal holographic devices given to them by the Kaylon’s (Issac’s race). On the flight to meet up with the other Krill, Mercer and Malloy realize they don’t know what to call themselves, so they brainstorm “alien sounding names”. However, when they link up with Krill and are put on the spot by their leader to provide names Mercer comes up with “Chris” and “Devon” to hilarious effect. I feel I must point out how good the practical effects are for the Krill. I have always been of the belief that aliens done with good makeup and prosthetics are more believable than CGI ones. The costumes and set design on the Krill ship were exceptionally well done. As the goal of their mission is to take pictures of the Krill holy book, Mercer and Malloy participate in a Krill religious ceremony and are appalled by their blood rituals. They also befriend a female Krill named Teleya (Michaela McManus, who gives a great performance even under all that makeup). When they learn that the Krill plan to use a powerful bomb on the colony they realize they have to intervene. Initially, their plan is to trigger the bomb, but this plan is disrupted when Teleya reveals that there are young Krill children aboard. The youths are shown to be eager to learn and curious about the conflict with the Union, but their minds are being filled with propaganda like that humans don’t have souls. Thus, this leads to a moral dilemma about what to do. They certainly can’t allow the Krill to unleash the weapon and kill the colonists. On the other hand, Mercer remarks that if they kill a ship full of children then the Krill will be right, they will have “no souls”. This continues the shows delicate balance act between comedy, space and cultural exploration, and dealing with tough moral choices. These are all hallmarks of Star Trek, although the slightly stronger emphasis on comedy does make this show unique in its own right. It’s kind of like if Next Generation was crossed with the most whimsical episodes of Original Series. Fortunately, Mercer comes up with a solution to the problem. He realizes when talking to a Krill child about how some humans adapted darker skin in areas with heavier sun exposure that the pale Krill, whose planet is always shrouded in darkness, are extremely vulnerable to sunlight. “Space vampires” as he calls them. Malloy is able to do hack the ship to send a direct blast of sunlight through and kill the Krill, and by taking out the lights in the classroom with the kids they are spared. That is how it’s done Discovery. That is how it is done.